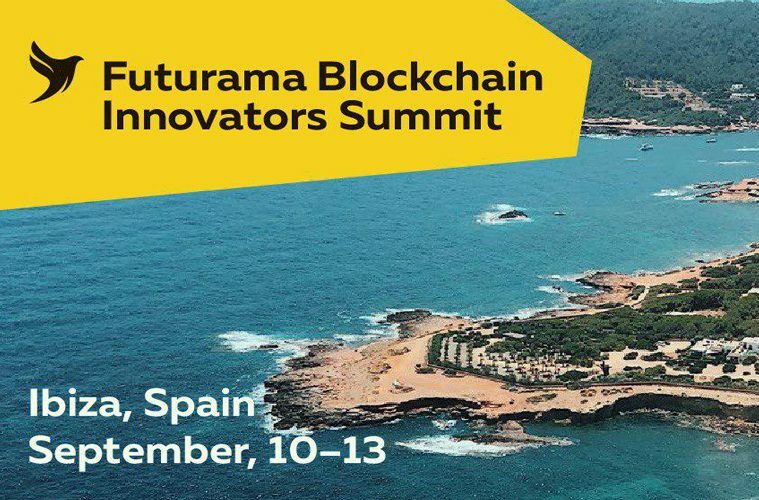 Futurama Blockchain Innovators Summit will be in Ibiza, Spain from 10 till 13 September. This is the second event. Our first event held in Dubai (www.coinsbank.com/dubai) was called “luxury profile one” for a concentration of best hi-tech projects and industry stars. Here is what Brock Pierce told about the upcoming one: “Dubai was the best event I’ve seen in the space. First-time events always have tons of room for improvement so the second edition should be out of this world”. That was a first high tech event that dedicates to futuristic innovations. Futurama as the name was born from the idea to make an event dedicated to futuristic gadgets, innovations, technologies and innovative companies in one place. Dubai was chosen as a city of future with smart city concept, magnetic flying trains, unmanned taxies and other futuristic solutions. This time we decided to put the most critical issues facing crypto exchanges as the central topics of our upcoming Futurama Ibiza event because such attention hasn’t been paid elsewhere in the industry. Today, the crypto exchanges are arguably one of the most lucrative businesses in the blockchain industry. And yet, it is also the source of most contentious issues like hacking, privacy, and regulation. For many exchanges, it’s also where user onboarding and off-boarding are taking place with the regular fiat banking world. Getting this part right is so critical to the growth of our industry and that is why we decided to attract the top exchanges in the single location with the unprecedented open environment. – Why are centralized exchanges still the main growth driver of the decentralization movement? – Which crypto Jurisdictions offer what kinds of advantages and disadvantages? – Are exchanges on blockchain a pipe dream or inevitability? – Are we at the end of an era or at the beginning of new cooperation when it comes to regulation? – What are the Best Practices on Token Listing (ICO): The Good, The Bad, and The Ugly. Even the most sophisticated attendees will be very impressed by the entertainment collection: a welcome party by Coinsbank, known for their brand new cruises, a remarkable ELROW tech-house performance, and a sci-fi SteamPunk party. Can’t get better than this, except for the fact that guests will fast forward into an even more radical Future Matrix Party. Business aspects of the conference will begin with an opening remark followed by the Shark Tank like a contest between distinguished ICOs that will compete for a chance to get listed on top exchanges, receive investments, and have a lineup of advisors ready at their disposal. The key topics will be dedicated to critical issues of in the crypto industry such as the role of centralized exchanges in the decentralization movement, the battle of crypto jurisdictions, and the future of exchanges on the blockchain. What’s unique about Futurama is that their organizers managed to realize something that no other had been able to do before – to bring in the representatives of key exchanges, state officials, and regulators, even with their super busy schedules, to provide guests with an exclusive three-day opportunity of priceless networking. Futurama Blockchain Innovator’s Summit in Ibiza has a lineup of extravagant personalities who can be witnessed on center stage – from Bitcoin Foundation Chairman Brock Pierce to the real sector giants like Huawei. Roger Ver, the world’s first investor in Bitcoin startups, Crystal Rose, tech-savvy entrepreneur, and Miko Matsumura, investor of Pantera Capital ICO Fund are just a few of the names from 30+ TOP speakers that will later be revealed. It would be great opportunity to get new contacts or to speak personally to representatives of key exchanges, state officials, and regulators, and many key personalities of the crypto world – from Bitcoin Foundation Chairman Brock Pierce to the real sector giants like Huawei. Among those with whom a participant will be able to talk in person are Roger Ver, the world’s first investor in Bitcoin startups, Crystal Rose, a tech-savvy entrepreneur, and Miko Matsumura, investor of Pantera Capital ICO Fund and others. So, a general tip is to network, learn and innovate to get new contacts and tons of insights. People can buy tickets at https://futuramasummit.com. There are 3 packages. 1.Conference Pass Package (1500 € ) – Includes access to all conference venues, and entertainment. Does not include accommodations. a shared double occupancy room on site at an iconic Balinese inspired villa. September 10-14 inclusive food and beverages. room on site at an iconic Balinese inspired villa. September 10-14 inclusive food and beverages. After selecting the option you are interested in, click “Order Now”, and “Buy” once you will come to the next page. After that, you’ll need to specify tickets quantity and click “Continue”. Next step is filling “Participant information”, then click “Next”, choose a payment method and pay for tickets. You can pay via crypto with 5% discount (Bitcoin, Ethereum, Ripple, Litecoin) or via credit card. Futurama Blockchain Innovators Summit is unique cause it has an almost closed format to allow every participant to meet and communicate with each other. So, it will be nearly 500 tickets sold and all of it will be bought until the end of August.